We’re going to be talking about different types of commercial real estate investments here but keep in mind we do NOT suggest you collect all your spare change and put it down on a multi-million dollar property. At Commercial Investing Center, we’re still not too excited about returns in commercial property except for perhaps mobile home parks and self-storage facilities. Having said that, let’s take a look at the various types of commercial options available if you were in the market. Apartment Buildings – Many people associate commercial property investing with apartment buildings, and for good reason. When the market is right, this can be a highly lucrative way to go. Properties run the gamut from small five unit buildings to multi-story behemoths. Banks love to lend on them and the cash flow potential is excellent. Triple net leases are often characterized by long term agreements, anywhere from 5 to 20 years, and normally come with scheduled rate increases – sometimes pegged to inflation – as time goes on. Commercial warehouse space also falls into this category. Retail Shopping Centers – If we can say anything with certainty about America, it’s that we like to shop. In fact, urban sprawl can be easily traced by following the line of strip malls down Mainstreet, USA. Shopping center leases are usually constructed similarly to those for office space, notably on a long-term, triple net basis, and increased rental rates as time goes on. A quick note about long term leases. They can be a double-edged sword. What if the area where your property is located suddenly experiences a surge in growth, sending real estate values through the roof? There you are with ten more years on your lease. Oops. No, you can’t throw the tenants out into the street unless you have some kind of language in the contract that retains the right of sale for the landlord. Lodging – First of all, the area of hotel and motel investing can be very tricky. It’s not recommended for most investors to start with. Sure there’s lots of money to be made. There’s also plenty to be lost. The fact most often overlooked is that buying a hotel goes beyond simple investing. You’re actually buying a business, and not an easy one to run at that. In modern day America, owning a business means rules, regulations, and the accompanying headaches. If you’re intensely interested in investing in the hospitality industry, consider buying the property and hiring an experienced company to run it. Just a bit of advice from your friends at CIC, because there are horror stories of naïve investors who find financial ruin with hotels. If that’s your dream, don’t be dissuaded. Just be very, very careful. 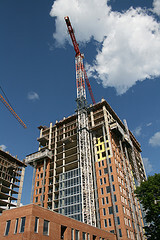 Raw Land Development – There are thousands of major building projects under development at any one time in the United States and around the world. If you figure somebody’s making some money off all that construction, you’re right. The downside is that, like lodging, land development from the ground up is not a rookie’s game. It can make you wealthy or send you straight to skid row without even collecting a stale cheeseburger. With land development, it’s a good idea to start small and build your way up into larger deals. Who knows, some day it might be you erecting the next Destin, Florida, condo complex that blocks the view of the sun and beach to the rest of the world. Just kidding. There’s probably not enough space left in Destin to build anything larger than a birdhouse. That about wraps it up on our quick tour through the various types of commercial property investments. Remember, in our opinion, it’s NOT a good idea to get into commercial real estate right now, with the possible exception of trailer parks and self-storage facilities. But like it always does, the market will turn at some point, and when it does, stay tuned to the Commercial Investing Center to find out how you can learn to generate healthy profits. For now, single-family residential homes are probably the best bet for property buyers. Find more information on this wealth creation strategy at our affiliate JasonHartman.com.